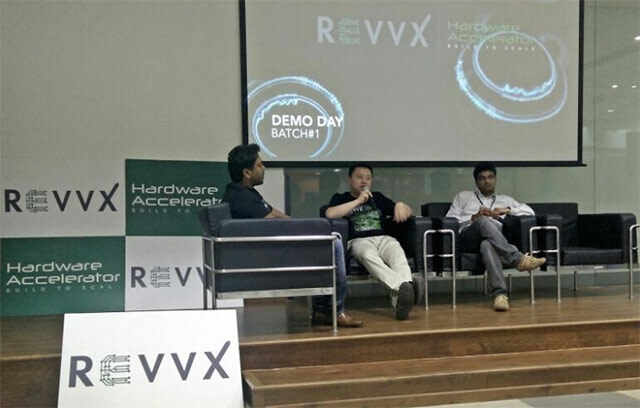 Bangalore-based hardware accelerator Revvx has graduated four startups in the first batch of its accelerator programme. Revvx presented the startups in a demo day last week. The startups in the first batch are building products in sports, clean-tech, video games and consumer segment. Revvx, one of the early hardware accelerators in the country, focuses on helping hardware startups in prototyping, manufacturing and distribution. It typically helps hardware startups to take their engineering sample to prototype, take a prototype-ready company to mass manufacturing and raise investments for distribution. The demo day had all the four startups presenting their ideas to an audience consisting of investors, corporate innovation houses, and ecosystem players. It was followed by a fire-side chat where the founders engaged in conversations about their products with other panelists and answered questions from the audience. Chetan Maini, founder of electric car Reva (which was bought by Mahindra & Mahindra in 2010), was the chief guest of the event. In his keynote address, he recalled his entrepreneurial journey and spoke extensively on the challenges he faced in his initial days and explained how he converted them into opportunities. Maini was honoured with the 'Inspiring Global Entrepreneur' award at the function. Revvx is inviting applications for the second accelerator batch that will start next month. SeeHow: Bangalore-based SeeHow is using a sensor-based technology to build a cricket ball to help bowlers improve their game. The ball can measure a number of factors including the spin on the ball, seam position, drift in the air and impact on the pitch. An accompanying app will provide these stats to bowlers so they can track their performance and benchmark it against their friends and the world's best players. The core technology could be applied to other racquet and bat-and-ball sports. Fragging Monk: It's a product technology company that offers solutions to the gaming industry. It builds PCs designed to run high-end games and competitive e-sports. It optimises the components to give better performance in the standard specifications while also offering some amount of freedom to users for changing the specifications, personalization and modification. It provides a one-year warranty and after-sales service. The Things Cloud: This is a clean-tech big-data technology company that provides turnkey energy analysis and visualization services. Its smart cloud-enabled solar-grid-tie inverter helps in intelligent power management to achieve energy independence. Senze: It is a marketing tool and business intelligent platform, developed by Cochin-based Irisind, which makes regular devices smart. It offers physical touch points for brands, an intelligent software solution whose algorithm can make sense of the random data and produce useful information, to act as customer dashboards.